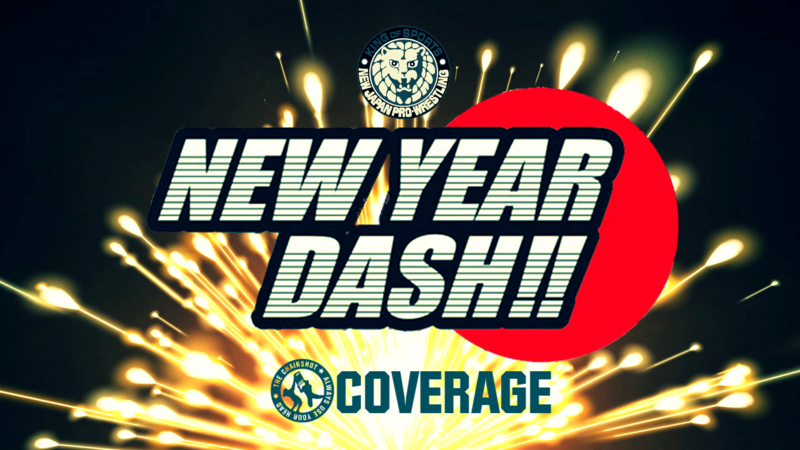 NJPW New Year Dash coverage begins! 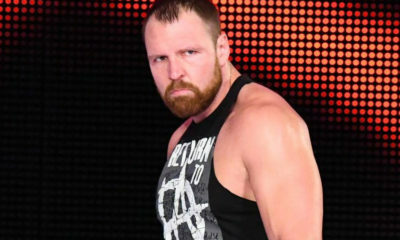 After the shocking EIGHT title changes at Wrestle Kingdom 13, what will 2019 mean for all the championships? Best Friends VS David Finlay & Juice Robinson; Finlay & Robinson win, by disqualification. Six Man Tag: Will Ospreay, Hirooki Goto & Tomohiro Ishii VS Yuji Nagata, Kushida & Jeff Cobb; Ospreay, Goto & Ishii win. 10 Man Tag: Los Ingobernables de Japon VS Suzuki-Gun; Suzuki-Gun wins. We move from 2018 into 2019 and the Wrestle Kingdom 13 aftermath! Los Ingobernables de Japon is completely golden with the IWGP Junior Heavyweight Tag Team, IWGP Heavyweight Tag Team and IWGP Intercontinental Championships now around their waists! But that just means it was an even worse night for Suzuki-Gun, with only one win coming in the form of Zack Sabre Jr. winning the Revolution Pro Undisputed British Heavyweight Championship. However, just because one year ends doesn’t mean a grudge goes away. Suzuki-Gun looks for revenge in tonight’s massive 10 Man Tag match! Plus, there are many more new champions who will be eagerly awaiting new challengers! Who will have the better start to the New Year? Best Friends VS David Finlay & Juice Robinson! Chuckie T & Trent Beretta may not be tag team champions, but there are always opportunities. The same goes for #FinJuice as these good pals team up once again. Will someone earn an opportunity at the United States Champion on top of climbing the tag team ranks? 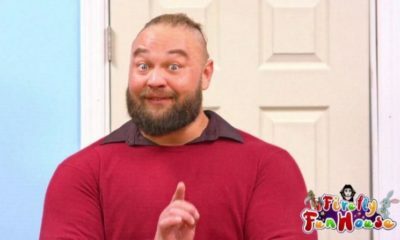 Finlay starts against the Kentucky Gentleman and they go around. They tie up and Finlay gets a waistlock. Chuckie counters with a drop toehold but Finlay gets a facelock. They stand and Finlay shifts to a headlock but Chuckie powers out. Finlay runs Chuckie over with a shoulder, then fires up with the fans as he runs again. Things speed up and both men show agility, but Finlay dropkicks Chuckie out of the ring. The Best Friends regroup and hug before Chuckie returns to the ring. Tag to Trent and Trent runs right at Finlay. Finlay dropkicks him down and Trent bails out. Trent goes to the crowd? Because he needs a hug from Mama Beretta. Chuckie gets jealous but Trent gives him a shove and says they already hugged. The Best Friends refocus and return to the ring. Trent kicks Finlay low but Finlay powers out of the headlock. Juice tags and they double bulldog Trent down! Chuckie runs in but into double dropkicks! Finlay and Juice fire up and slingshot onto both Best Friends! Then they hug it out! Juice whips Trent and Finlay whips Chuckie, but both Best Friends reverse to send Finlay and Juice into barriers! Chuckie drags Finlay up and Trent takes aim, flying stomps onto Finlay! Best Friends put Finlay in the ring and Trent drags him up. Trent CHOPS Finlay off his feet, then forearms him to the corner. He fires off more forearms but stops at 4 to tag Chuckie. Chuckie snap suplexes Finlay then covers, TWO! Chuckie keeps his cool as he whips Finlay. He dropkicks Finlay down and enjoys the applause. Tag to Trent, and Trent climbs, big ax handles to Finlay’s back. Trent kicks Finlay out to the apron but Finlay shoulder sin. Finlay slingshots but into a Northern Lights! Bridging cover, TWO! Trent stalks Finlay and brings him up for another CHOP! Finlay forearms back then runs, but into a back elbow. Trent tags Chuckie and Chuckie throws forearms on Finlay. Chuckie suplexes but Finlay slips out to hit a back suplex! Both men are down and fans fire up. They crawl for their corners, hot tags to Trent and Juice! The Flamboyant One and Trent brawl and trade chops! Juice chops, Trent chops, repeat! Trent gets an edge with those chops, but Juice ducks to start jabbing! Juice winds up but misses, Half ‘n’ Half suplex! Trent runs corner to corner for a back elbow, then hits a tornado but is denied the DDT! Juice blasts Trent with a shotgun dropkick! He goes corner to corner for a cannonball! Juice fires up and hits Chuckie for good measure before going up top. Juice leaps, but has to roll through as Trent avoids him. Trent gets Juice fast, but Juice rolls through. 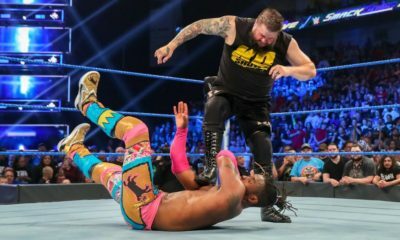 Juice avoids the knee, and double clotheslines connect. Neither man falls but Trent intercepts Juice’s Left Hand of God! Trent aims, but Juice catches the knee into the LHoG! Juice underhooks Trent, but Trent pops out. Trent whips but Juice reverses only to get the shotgun knee! Both men are down but their partners return, hot tag to Finlay! Finlay intercepts Chuckie then bumps Trent on buckles. Finlay goes corner to corner for endless elbows! Urenage backbreaker, cover, TWO! Finlay keeps himself fired up but Chuckie uses a chair!? So much for being a gentleman! Chuckie T tees off on Finlay with that chair! Then he scoop slams Finlay onto the chair before going for more chairs! Chuckie stalks Finlay, armed with another of those chairs. Juice saves Finlay, but then Trent takes the chair. They start shoving, Chuckie throws a chair at Juice’s head! Trent stands by his Best Friend but he still doesn’t get Chuckie’s rage. He gets Chuckie to exit the ring, and they start heading out, but Chuckie suddenly gets back in the ring! Chuckie hits Finlay with the Awful Waffle piledriver on the chair!! What is going on with Chuckie T?! Six Man Tag: Will Ospreay, Hirooki Goto & Tomohiro Ishii VS Yuji Nagata, Kushida & Jeff Cobb! A few of the men in this match participated in the NEVER Openweight Six Man Tag Team Championship Contenders Gauntlet, but none of them were on the winning team. Meanwhile, the Stone Pitbull and the Time Splitter lost their respective title matches, while the Aerial Assassin came away the new NEVER Openweight Champion. Lines are still forming behind all those titles, which trio gets a leg up in the race? The teams sort out and we begin with Ospreay and Kushida. 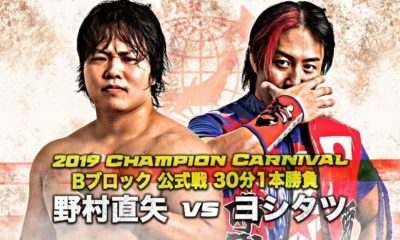 These two know each other from their days fighting over the IWGP Junior Heavyweight Championship, and fans are excited for this newest meeting. The two circle but evade, and fans duel for both fan favorites. They tie up and Kushida gets a waistlock. Ospreay switches but so does Kushida. Ospreay goes after the wrist but Kushida reverses to his own wristlock. Kushida wrenches but Ospreay spins through and snapmares. Ospreay wraps Kushida in a chinlock but Kushida slips right out to a wristlock. Ospreay tries again with the snapmare and chinlock, but Kushida slips right back out to another wristlock. They go again, and again, and again, and Kushida still ends up back in control of the wrist. Ospreay rolls, handsprings and dropkicks Kushida down! Then Goto and Ishii rush the Taguchi Japan corner! Chaos goes after Kushida together with double whips corner to corner. Goto hits a clothesline, Ospreay an elbow, then they feed Kushida to Ishii’s shoulder! Goto kicks Kushida, Ospreay standing shooting stars! Cover, TWO! Kushida survives but Ospreay keeps on him with haymakers. Ospreay brings Kushida over, tag to Ishii. Ishii clubs Kushida down then throws forearms. Ishii CHOPS Kushida off his feet, then eggs him on. Kushida sits up and Ishii toys with him more. Kushida gets in Ishii’s face then starts chopping away. But Ishii isn’t bothered at all, so Kushida uses kicks instead! Ishii CHOPS Kushida off his feet again! Ishii grabs a leg and rolls Kushida over for the Half Crab. Ospreay goes after Yuji but Blue Justice prevails! Yuji throws Ospreay out then kicks Ishii down! Kushida is free but Ishii now stares down Yuji. Ishii SLAPS Yuji and now it’s a brawl with the ropes between them. Goto keeps on Kushida with a chinlock while the ref is busy with Ishii and Yuji! Ospreay runs in and knocks Jeff Cobb down while Ishii headbutts Yuji! Chaos again isolates Kushida in their corner, tag to Goto. Goto hammers Kushida and snapmares him for a kick! Cover, TWO! Goto stomps Kushida then drags him up for clubbing forearms. He puts Kushida in a corner for stomps, then brings him out for a big hip toss! Cover, TWO! Goto keeps on Kushida with a chinlock, but fans build to a rally. Cover, TWO! Goto keeps his cool as he stomps Kushida more. He drags Kushida up and whips to ropes, then elbows him down hard. Cover, TWO! Kushida survives but Goto bumps him off buckles. Goto goes to tag but Kushida fights back with fast hands and chops! Kushida backs Goto down but Goto hits back with a forearm. Goto runs in but into a boot! Kushida boots again but Goto blocks. Goto swings, misses, Kushida hits the PELE! Both men are down but fans rally up. Kushida crawls for his corner but Ishii tags in, Ospreay hits Cobb and Ishii hits Yuji. Then they double whip Kushida, but get handspring back elbows! Everyone’s down but Yuji returns! Hot tag to Blue Justice! And he goes right at Ishii with swift kicks! Yuji whips Ishii corner to corner and hits a helluva kick! He snapmares Ishii to kick him in the abck, but Ishii is just annoyed. Yuji fires off forearms but runs into Ishii’s shoulder. Ishii kicks Yuji, but now Yuji is just as annoyed. They throw forearms over and over, then trash talk as they pick up speed. Neither man backs off but Ishii gets an edge, until Yuji rocks him with one! Blue Justice backs the Stone Pitbull down while we go to break. NJPW on AXS returns as Ishii stands, only for Yuji to kick him down! Yuji keeps kicking and kicking and kicking, then rains down right forearms! Blue Justice is seeing red as he drags Ishii up. Ishii swings but into a Fujiwara Armbar! Yuji pulls back hard and his eyes roll back. But Ospreay attacks! Fans boo as Ospreay fires forearms, then he runs, but Yuji dumps him out! Ospreay manages to stay on the apron, and he hits Yuji away. Ospreay springboards but into an exploder! Goto helps Ospreay but Yuji’s on Ishii. Yuji gives Ishii a shoulder breaker, then runs. Ishii dodges but gets a boot. Yuji runs but into a powerslam! Ishii tags in Goto! Goto goes at Yuji with a whip but Yuji dodges and fakes him out! Yuji kicks a leg out, and tags in Cobb! 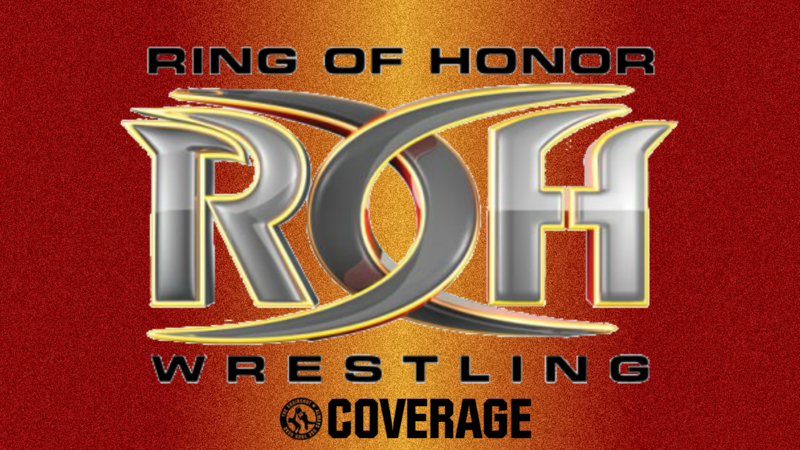 The ROH World Television Champion fires off on Goto! He whips but Goto reverses and redirects, only for Cobb to run him over! Cobb CHOPS Goto, then throws forearms, repeat! Cobb whips again and runs in for a BIG back elbow! Fans fire up with Cobb as he runs, but Goto follows. Cobb sees Goto coming and blocks the clothesline. Cobb runs but Goto blocks the clothesline. Goto dodges but gets scooped. He slips out, but Cobb denies GTR. Cobb suplexes but Goto slips out. Goto forearms Cobb down but Cobb’s right up to clobber Goto! Goto’s right up, both men hit clotheslines! Fans fire up as both men head for their corners. Hot tags to Ospreay and Kushida! The Super Juniors brawl again with forearms and kicks! Ospreay blocks one kick to stomp the foot, but then things speed up and Kushida hip tosses and cartwheels. Ospreay handsprings but Kushida deflects the dropkick to hit his dropkick! Fans fire up as he handspring kicks Goto and Ishii away! Kushida runs corner to corner but into an enziguri! Ospreay rolls and Tiger Feint Kicks high! Ospreay springboards and hits the flying clothesline! Fans fire up as Ospreay takes aim. Ospreay springboards but Cobb saves Kushida and catches Ospreay! Cobb takes Ospreay for a ride in the swinging Athletic Plex! Ishii runs but gets a boot from Yuji! Cobb and Kushida combine for a wheelbarrow suplex splash! Cover, TWO!! Ospreay survives and Kushida cannot believe it! A brawl breaks out on the outside as Goto fights Cobb and Ishii fights Yuji. Kushida keeps on Ospreay and his arm, wrenching through to a shoulder breaker. Kushida runs but into the dropkickflip! Ospreay enziguris but Kushida dodges. Kushida kicks at the arm but Ospreay gets out of the way! Kushida rolls and hits the satellite DDT! But he’s not done there, he rolls through but Ospreay knows Back to the Future too well, he counters with a stunner! Ishii adds his Sliding D! And is a step stool for Ospreay’s corkscrew moonsault! Ishii intercepts Yuji while Ospreay covers, but Cobb breaks it on the other end! Another brawl breaks out while Ospreay aims at Kushida again. Crescent Kick, underhook, Canadian Rack, STORMBREAKER!! Chaos wins!! The Aerial Assassin could’ve used that killer backhand that concussed Kota Ibushi, but he thought better of it. Even so, Ospreay has gotten a killer instinct that’s made him a champion. Who will step up to his Openweight Championship? Wait, Ishii and Yuji aren’t done fighting! They start slapping each other in the ring! Teams and security try to keep these two from going any further but it doesn’t work. The forearms start flying, and tension even mounts between Cobb and Goto. Are we seeing some serious matches in the making? 10 Man Tag: Los Ingobernables de Japon VS Suzuki-Gun! It is no secret that Tetsuya Naito and his band of brothers do NOT get along with the Meanest Man in the World and his cohorts. They’ve had incredible fights and feuds before, but now we have a 5v5 war! Will the now golden ungovernables prevail with the power of Tranquilo? Or will Minori Suzuki and his sinister soldiers spoil the New Year for LIJ already? But before the bell rings, Taichi SMACKS Naito in the head with a chair!! Naito goes down and a brawl breaks out! Suzuki-Gun throws LIJ out and Taichi grinds the chair into Naito’s head! The bell rings as Taichi stomps Naito in a corner. The rest of LIJ fights off Suzuki and his henchmen, but Taichi keeps his focus on Naito. Seems the Sliest Wrestler in the World is as sadistic as the rest of the faction as he drags Naito up for elbows to the head. Naito writhes and Taichi laughs. Taichi drags Naito up but Shingo Takagi blasts Taichi with a shoulder! The Muscle Dragon gets Naito to safety while teams finally go to corners. Bushi and Desperado tag in, but Desperado runs at Shingo. They collide shoulders but Shingo comes back with another shoulder! Yoshibu Kanemaru runs in, but he gets a fast scoop slam! Shingo drags Desperado up and the new IWGP Junior Heavyweight Champions double whip him. Shingo gives Desperado a spinebuster, and then catapults him into Bushi’s haymaker. Desperado falls back against Shingo’s knees, and Bushi runs to add a basement dropkick! Cover, ONE! Bushi keeps on Desperado with stomps and a choke using his shirt! The ref counts and Bushi lets go at 4. Bushi stalks Desperado and bumps him off buckles. He whips corner to corner but Desperado reverses. Desperado runs but into Bushi’s swing kick. But Kanemaru kicks Bushi down! Another brawl breaks out and Naito is vulnerable to Taichi’s stomps. Meanwhile, Suzuki brings Sanada out to the crowd! There’s so much going on, it’s hard to know where the cameras should be! Zack Sabre Jr. puts Evil in a sleeper hold while Suzuki brings Sanada around to the back. Suzuki chokes Sanada with red railing while Taichi throws Naito into spare tables! The referee doesn’t know what to do so the fighting just continues. Kanemura uses chairs to SMACK Shingo! Taichi chokes Naito with the frame of another chair! We go to break while officials try to rein this all in! NJPW on AXS returns again as things slowly return to the ring. Desperado keeps the ref’s attention while Suzuki and ZSJ, the Rev-Pro Tag Team Champions, both go after Bushi with alternating leg locks! Bushi endures a heel hook and a toehold, then double kneebars! The referee finally gets them to stop and he won’t count Desperado’s cover, either. Suzuki-Gun regroups at the corner and Desperado stomps Bushi. Desperado bumps Bushi off Suzuki’s boots, then tags Suzuki in. The King of Pancrase has fun throwing body shots on Bushi. He toys with Bushi now, but Bushi CHOPS back! Suzuki doesn’t back down, he just boots Bushi down! Suzuki drags Bushi up for a heavy forearm, then tags in Kanemaru. Kanemaru distracts the ref so that Desperado can pull at Bushi’s mask! He gets the laces loose but then he stops, as if to taunt Bushi with how easy it would’ve been to reveal him. Kanemaru grinds his feet into Bushi while the brawling breaks out again! LIJ gets thrown into barriers while Kanemaru rolls Bushi for a full Boston Crab. Then a Half Crab as Kanemaru pulls back more. Bushi endures and crawls for ropes while Suzuki laces Evil’s arms through barriers. Taichi again attacks Naito with chairs. Bushi gets a ropebreak and Kanemaru lets go, but he stomps Bushi more. Kanemaru whips but Bushi kicks him back. Bushi dropkicks but misses! Kanemaru toys with him, but runs into an enziguri! Desperado runs in to keep Sanada away. He whips Bushi but runs into a boot! Bushi hops up, huricanrana! Bushi and Kanemaru crawl, hot tags to Suzuki and Sanada! Sanada and Suzuki brawl but Suzuki gets the edge. Suzuki whips but Sanada kicks the legs out. Kanemaru runs in but gets put into the Paradise Lock! Cold Skull takes his shirt off to dropkick Kanemaru out of Paradise. Suzuki kicks and whips Sanada but Sanada blocks the boot. Sanada trips Suzuki, and goes to put Suzuki in Paradise! But Suzuki counters to an armbar! Sanada reaches with his legs and gets the ropebreak! But Suzuki is on him with a whip. Sanada tumbles up and out and springboards in but Suzuki gets clear. Things speed up as Sanada hurdles. Suzuki sees it coming and gets a sleeper! Then he shifts to the Gotch Driver, but Sanada powers out! Sanada runs, Suzuki follows, and gets another sleeper! Tag to ZSJ and hand-off to a vicious cravat! ZSJ napmares but Sanada handsprings through! 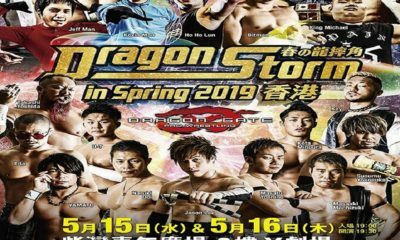 Sanada hits a dragon screw! Fans fire up as both men slowly crawl for corners. Tag to Evil! Evil gets ZSJ but ZSJ European Uppercuts. They go back and forth with wristlocks and wrenches, but Evil blocks ZSJ’s kick. Evil hands that to the ref, so he can mule kick ZSJ! Evil CHOPS ZSJ, then adds the back senton! Fans fire up as Evil builds speed, but he runs into the abdominal stretch! Evil pops out and they go around and around, Evil gets the stretch! ZSJ goes after fingers! Then a hammerlock stomp! ZSJ drags Evil up and gets a full nelson, but Evil uses power to break free! Fisherman but ZSJ slips out to PELE the arm! ZSJ hops on for a guillotine and wristlock! Evil stays on his feet but ZSJ twists the arm over and over! Naito has miraculously returned to the corner as Evil powers out with a fisherman buster! Both men crawl, hot tags to Taichi and Naito! Naito rallies on Taichi with fury! But Taichi boots Naito and stomps away on his head! Taichi throws elbows then runs, but into an arm-drag! Naito rallies again, dropkick to Taichi’s head. Naito brings Taichi up but Taichi back elbows. Taichi wants to suplex but Naito fights free. Naito baits Taichi in, tornado DDT! LIJ hits Suzuki-Gun back and they stomp away on Taichi. Shingo and Bushi put Taichi in a corner for double whips. Shingo hits a clothesline, feed to Naito’s kick, Bushi sunset flip and Naito basement dropkick! Naito drags Taichi up and to the top rope. Fans are still concerned as Naito climbs up to join Taichi. Naito slips just a moment, and Taichi goes to powerbomb. But Naito manages to huricanrana through! Naito turns but into a big roundhouse! Taichi runs, and rabbit clotheslines to then front clothesline! Cover, TWO!? Taichi can’t believe Naito lives! But Taka Michinoku plays a part as he slips the IWGP Intercontinental Championship belt into the ring! Michinoku distracts the ref while Taichi fetches the belt. Taichi aims at Naito, and the rest of LIJ is intercepted by Suzuki-Gun. Naito stands for Taichi to CLOBBER! Taichi keeps going, to hit Naito with the Mephisto! Cover, Suzuki-Gun wins! The Sliest Wrestler is the one to pin the new IWGP Intercontinental Champion! Taichi was notably furious that he wasn’t anywhere on the Wrestle Kingdom card, and now he’s going to make Naito pay for it. Taichi and the rest of Suzuki-Gun stomp and punch Naito, but LIJ comes back to try and save him. But that doesn’t work out, as Kanemaru hits Shingo with a flying DDT! And Desperado hits Bushi with the butterfly driver! Suzuki puts Sanada in another sleeper and ZSJ stomps Evil, before giving them simultaneous Gotch and Zack Drivers! Suzuki-Gun puts the belts LIJ owns on display as Taichi gets a mic. “Hey, Naito. How does it feel to lose badly, the same way you won last night?” It seems Taichi’s a cut above Naito and Chris Jericho! Naito always says stuff like not needing the Intercontinental title, but was he ever really in control of it? He’s clearly just all talk. IfN aito doesn’t want the belt, just give it to Taichi. But it’s because Naito’s an idiot, and has a bunch of scumbag fans! All the LIJ fans are a disgrace! Just leave and never come back, morons! Suzuki takes the mic and laughs. “Suzuki-Gun, Ichiban!” This war of Suzuki-Gun and LIJ is far from over, who will be holding the gold at the end of it?! What a crazy hour that set up a lot of good stuff for the coming year in NJPW, especially where titles are involved. 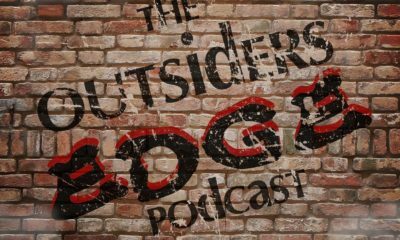 Chuckie T’s sudden attack with chairs brings up the potential of a Best Friends break-up, but also a Heel Chuckie going after the IWGP US Championship and Juice Robinson. Both guys have come into their own through 2018, so a 1v1 match between them might be a lot of fun with their charisma. The Six Man was great, and while it is a good-bye to Kushida as he heads for WWE, it brings up two great rivalry ideas in Ishii VS Nagata and Goto VS Cobb. 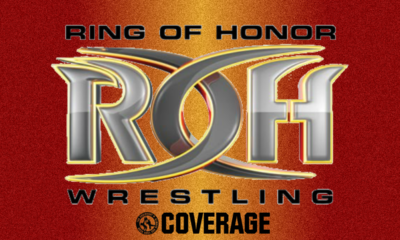 I’ve been wanting to see more Goto VS Cobb and it doesn’t even need a title, though Cobb obviously has ROH’s Television Championship. Ishii VS Nagata doesn’t have a championship but that can still be great on how stiff they hit. The 10-Man was incredibly good, just on the chaos and the story between both factions. The coming title stories were made clear by who went after who. Taichi obviously wants payback on Naito for their past but also to get that Intercontinental Championship. ZSJ and Suzuki being the Rev-Pro Tag Team Champions, and ZSJ being THE Undisputed British Heavyweight Champion, they clearly want to be tag team champions in both NJPW and Rev-Pro simultaneously. And of course, Desperado and Kanemaru were not pinned in the Junior Heavyweight Tag title Triple Threat, so they want a rematch to prove they wouldn’t have lost to Shingo and Bushi. 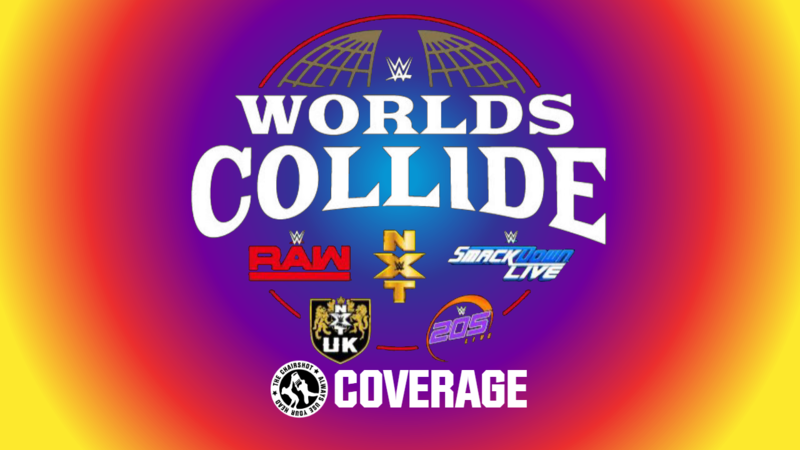 This is probably the best use of faction VS faction I’ve seen in a long time, I can’t wait to see it all happen, and hopefully on the same card.